If your Halloween master plan is to dress as an authentic military commando, special forces agent, or even your favorite video game persona, you may need an accessory that means serious business. Luckily, this Toy Uzi 9mm Machine Gun gives a warlike appearance...without all that war. Honestly, on Halloween only one battle should be waged: the war on one’s health. Of course, the weapon is hundreds of mini-sized candy bars. But we’re all for authenticity. 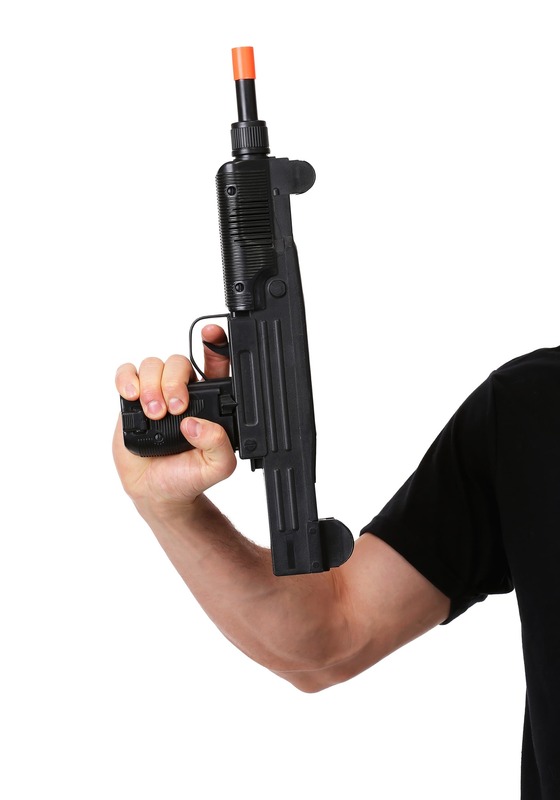 So strap this plastic piece to your already tough looking costume and prepare to have people hit the floor when you pull its trigger (because realistic machine gun sounds emit from it!). And while they’re down there, you may want see if they have any bite-sized morsels in their bags that you need to confiscate.